Adventures of Sound Tech Guy: Disorderly Conduct Rocks The Opera House, Toronto! Disorderly Conduct Rocks The Opera House, Toronto! My friend Richard Scarsbrook plays drums and sings in the Toronto band "Disorderly Conduct" and they have been busy playing gigs to raise money for charity. Most recently, they rocked The Opera House in Toronto, ON. on May 5, 2009. The show was for the group "Blessings In A Backpack" and they were successful in raising over $10, 000.00 at this event! 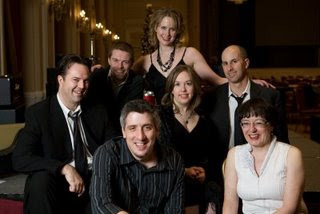 Coming up on May 23, 2009 the band will be rockin' The Opera House once again. So, if you are looking for a great night of music, go check out Disorderly Conduct. You won't be disappointed! Also, here is a link to the blog page for my friend Richard Scarsbrook where you can watch some YouTube videos that Rich posted from the last gig at The Opera House. 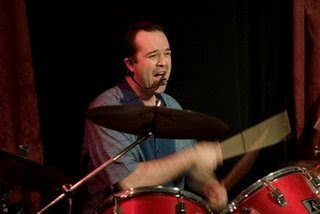 Richard is seen here playing the drums and singing with "The Nerve".